Sean Parker's screening room divides Hollywood. 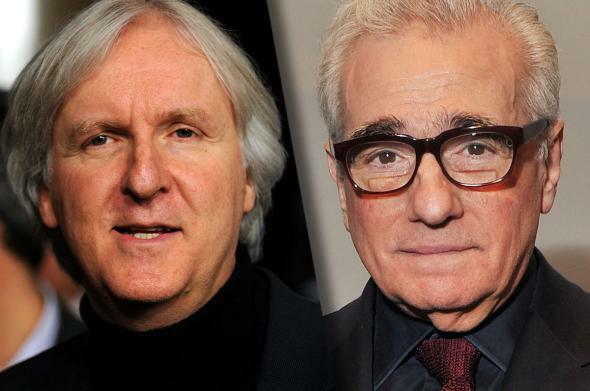 James Cameron and Martin Scorsese. If you want to see the biggest new movies, you have to go to the theater. This is the premise the film industry rests on: It expects—no, it knows—that enough of us will want to see a new Star Wars movie, or Batman v Superman, or any other blockbuster release badly enough that you will pay the rising ticket price and maybe buy some popcorn and put yourself in that theater seat. Unsurprisingly, the National Association of Theater Owners—confusingly referred to as NATO—has also voiced its opposition to the Screening Room, saying it believes any new form of VOD and at-home viewing should come directly from exhibitors and distributors. The Art House Convergence, an alliance of smaller exhibiting interests, did the same, and the only support of any kind the Screening Room has received from inside the distributor/exhibitor nexus is from the Chinese-owned AMC chain. Hollywood has never taken kindly to outsider innovation, and the Screening Room is a terrific example of Silicon Valley “disruption” that sounds great to a bunch of venture capitalists on Sand Hill Road but makes the subjects of that disruption want to rip their hair out. While the Screening Room could have a legitimate use to people who are interested in getting their friends together and watching movies, it does also have a high barrier of entry financially—$150 for such limited-use hardware is insane—making it a product whose appeal would mainly be to either serious film buffs or those for whom money isn’t an issue. Setting aside the viability of the product itself, the larger hurdle is that the only way for the Screening Room to even exist is if the companies that make, sell, and show films actually sign on. It’s the same problem Netflix faced in trying to distribute Beasts of No Nation: It had to four-wall theaters because no exhibitors would play ball. Without those partnerships, the Screening Room won’t have access to the movies it needs to justify that $50 price point, which are the biggest, newest, and most in-demand movies, the superhero movies and prestige pictures and animated films—also, as it stands, the movies that have become the hinge upon which the industry’s financial model currently swings. Parker and co. can act like they’re doing Hollywood a favor, protecting them from pirates and saving their business, but they’re about to learn how precarious it can be to have to depend on the very people they’re trying to disrupt.